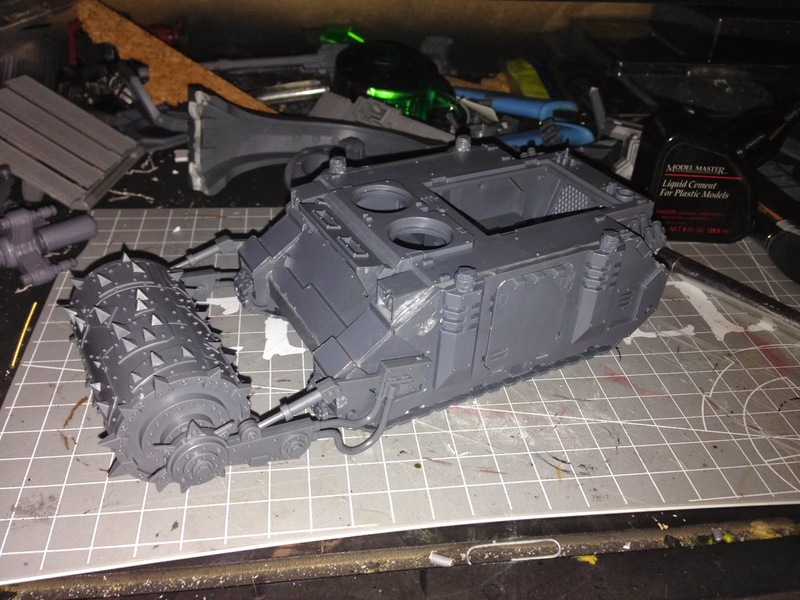 I've started work on my Big Mek's Junka for the Ork Dread Mob List. 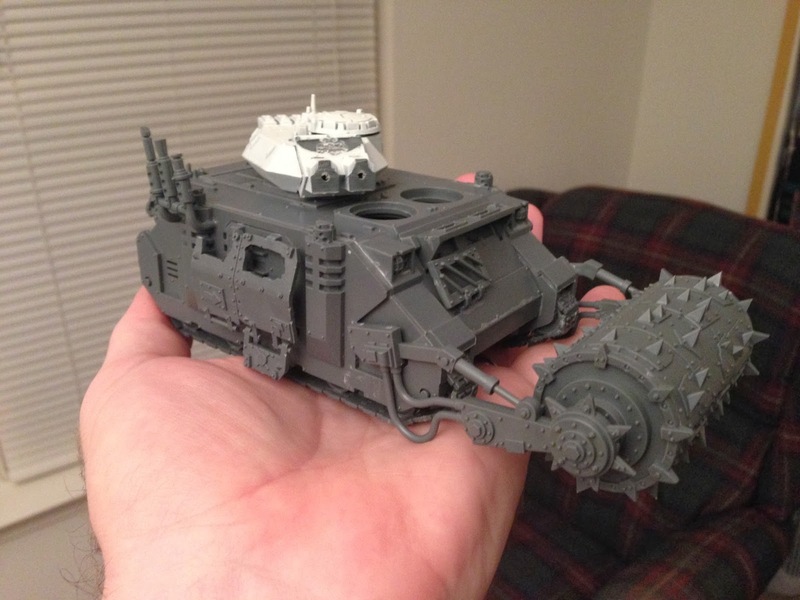 I decided that this Big Mek would be more interested in something a little stronger than a Rhino, so he's looted a Predator. I still haven't decided what weaponry I'm going to go with. I'll probably end up using magnets and just go with ALL OF THE THINGS! 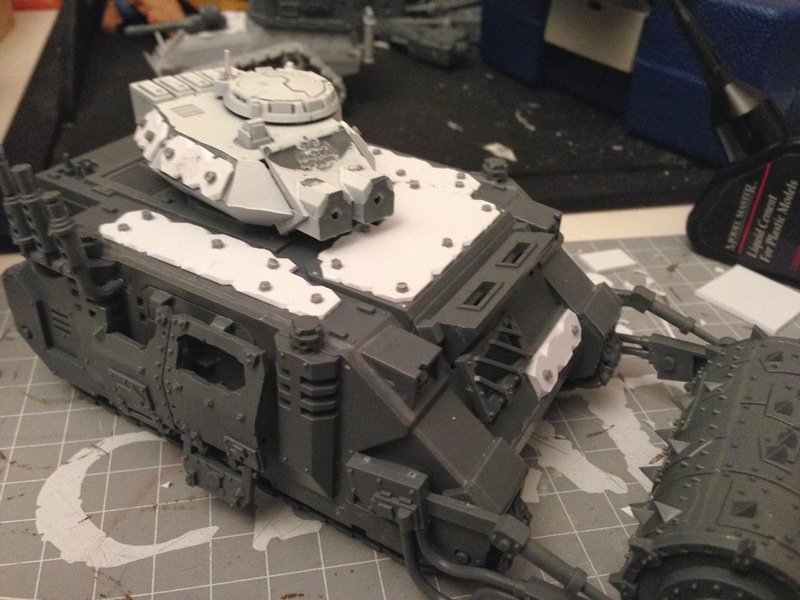 Junka with cut down turret... weapons to be added. Junka with armour panels... at least some of them! More to come as I make more modifications and additions. The main weapon will probably be a Supa-skorcha. I'm still working out how to properly make that happen.